Co-opted Republican Ideals and Accomplishments. In watching the great Native American leader (NOT) Elizabeth Warren speaking at the Democratic National Convention I heard a statement that caused me to think and say out loud, “What a lie!”. Actually, there were several. But the one of which I write came at a time when she was reciting a list of accomplishments she claimed to be Democratic Party accomplishments. On behalf of Democrats she took credit for Child Labor Laws in the U.S. 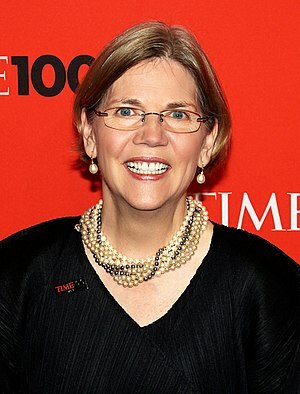 It seems Ms. Warren not only has challenges in telling the truth about her ancestry, having secured employment at Harvard University by claiming Native American ancestry that didn’t really exist; but now the Massachusetts Senate candidate needs American History lessons too. Republican Teddy Roosevelt is the single individual most responsible for bringing to national attention the plight of child workers as well as other abuses of labor. Twenty times while in the New York Legislature he championed different legislation addressing child labor. 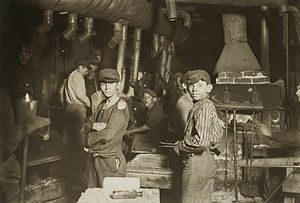 The National Child Labor Committee was created in 1904 during his Presidency. And Roosevelt’s hand chosen successor, President William Howard Taft signed into law the act creating the United States Children’s Bureau in the Federal Department of Labor. All this work laying the groundwork for the eventual passing of the Keating-Owen Act in 1916 prohibiting the buying or selling of goods manufactured or processed by child labor. Anyone paying attention knows this isn’t the first time the Democratic Party has co-opted Republican ideas and accomplishments and claimed them as their own. Republican President Abraham Lincoln. Lincoln was the first-ever Republican President. It was a party formulated out of the former Whig party and included abolishment of slavery as its primary plank in its platform. Lincoln’s Emancipation Proclamation made it real. 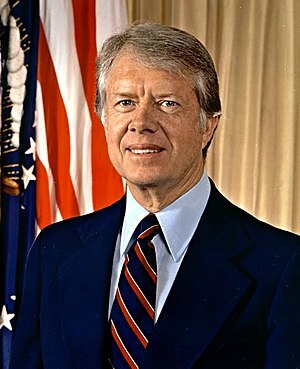 The Presidential Proclamation was given Constitutional backing thanks to the Republican Party and the passing of the 13th, 14th, and 15th Amendments to the Constitution. When President Lynden Johnson needed help passing the 1964 Civil Rights Act it wasn’t his fellow Democrats he turned to. Southern Democrats were blocking the legislation. Johnson got this and the Voting Rights Act passed through the support of Republicans in Congress. Senate Judiciary Committee Chairman Democrat James Eastland opposed the bill and wouldn’t give it a hearing in his Committee. Then after some parliamentary procedures, that would cause Harry Reid to turn his head, the bill was sent to the Senate floor for a vote but blocked by a Democratic filibuster. It was the Republicans who broke the filibuster, passing the most significant Civil Rights legislation since Republicans passed the 13th, 14th, and 15th Amendments to the Constitution. Years later after blacks had won their voting rights and many other rights in the segregated south it was Boston, Massachusetts, Liberal and Democratic Boston, Massachusetts, where the largest opposition to intra-racial freedom occurred. Boston is where the stiffest opposition to school desegregation busing took place. Democrats are the champions of the environment, right? Well it was Republican President Richard Nixon who signed the Clean Water Act into law in 1972. Nixon also was responsible for THE major Amendments to the Clean Air Act in 1970 that greatly expanded the federal mandate by requiring comprehensive federal and state regulations for both stationary (industrial) pollution sources and mobile sources. What about continued claims that Democrats are peace-loving and Republicans are war mongers? Really? It was Nixon who opened China after 25 years of isolation, and three Democratic Administrations. Nixon also negotiated the SALT treaty with the Soviet Union, creating the Anti-Ballistic Missiles Treaty. 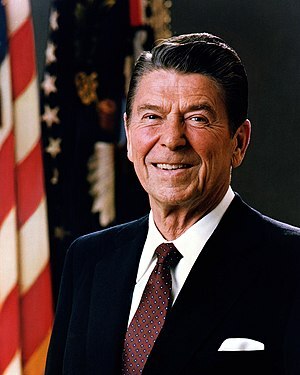 Republican Ronald Reagan negotiated with the evil empire and its last leader Mikhail Gorbachev. It was because of Reagan’s leadership and under Republican President George H.W. Bush that the Soviet Union came crashing down without a shot, or a missile being fired after more than 70 years of reigning terror over Europe and Asia. Democrats did none of this. Is there more? Certainly. Ever heard of the G.I. Bill? The Serviceman’s Readjustment Act, as it was formally called, was originally written by former National Republican Party Chairman Harry W. Colmery on the back of a napkin at the Mayflower Hotel in 1944. The bill was championed in the U.S. Senate by Republican Warren Atherton and Democrat Ernest McFarland. The G.I. Bill provided returning servicemen with low-cost mortgages, loans for starting businesses; paid for college tuition and more. Why these facts demonstrating the Republican party’s compassion and leadership in matters of civil rights, environmentalism, peace and government benefit programs is not more widely known is a mystery. How can it be that the Democratic party has stolen credit for all these things and not been held accountable for having done so? I don’t know the answer. But I know to claim credit for something you didn’t do is a lie. And Americans don’t much like those who lie. Do we? Categories: National Politics . Tags: Abraham Lincoln, Dedmocratic lies, Democrat, Democratic, DNC, Elizabeth Warren, G.I. Bill, George H.W. Bush, lying democrats, Nixon, Republican, Richard Nixon . Author: Michael Schuett . Comments: Comments Off on Co-opted Republican Ideals and Accomplishments. In this short article by Stanford Economics professor and senior fellow John Taylor it’s correctly pointed out that continuous short-term government intervention in the economy produces more bad than good, no matter the intentions, and no matter what party is in the White House. These policies have been most effectively and dramatically illustrated by Ronald Reagan, and continued with Presidents George H.W. Bush and Bill Clinton. Not mentioned in the article is that these hands-off principles originally were put forth a long time ago by 18th Century Economist Adam Smith in his seminal book An Inquiry into the Nature and Causes of the Wealth of Nations, better known as “The Wealth of Nations”. 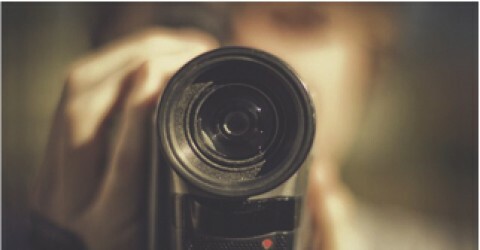 Please Share this blog if you find it interesting; others may as well.